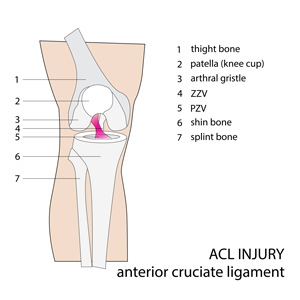 Welcome to PhysioNow’s patient resource about ACL reconstruction repair surgery. Below you will find information about the physiotherapy process before and after surgery. If the anterior cruciate ligament (ACL) in the knee is torn, surgery may be desired to replace it. Some patients opt to forgo the surgical repair and instead undertake an extensive physiotherapy- strengthening program to support the knee. They may also in this case, opt to use a custom knee brace for more vigorous activities or sports, in order to support the ACL. If however, you have decided to opt for surgical repair, there are many different ways to do the operation. One of the most common options is to take a piece of the hamstring tendon from behind the knee and use it to replace the torn ACL. They call this a hamstring graft. The main goal of ACL surgery is to keep the tibia from moving too far forward under the thighbone and to allow the knee to function normally again. Once you have decided to undergo ACL repair surgery, it is suggested that you visit the physiotherapist who will be assisting you with your rehabilitation after surgery. This will give you a head start on your recovery. Your therapist will measure your preoperative movement and strength of both knees. They will also evaluate your function before surgery. This visit will prepare you for surgery. You may learn some of the exercises that you will do after the surgery. Most ACL surgeries are done as an outpatient in Canada. This means that you will have the surgery and go home the same day. Your surgeon may also recommend that you wear a protective knee brace for a few weeks after surgery. 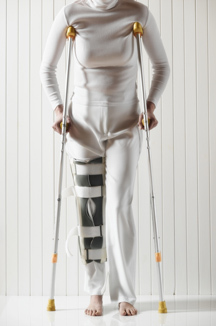 You will need crutches for a few weeks, but in most cases, you will be encouraged to weight bear immediately after surgery with the use of the crutches to help. It is strongly recommended that you take part in a formal physiotherapy program after ACL reconstruction surgery. This should commence within five days of the surgery. The first few physiotherapy sessions will mainly help with pain and swelling control. It is incredibly important to begin stretching the knee as soon as possible to get the best outcome after surgery. The only exception to this rule is if the surgeon has advised you not to move the knee due to the type of surgery that was performed on your knee. The goal for almost all patients is to regain full knee bending and straightening as soon as possible. Occasionally, the surgeon may set a goal of no more than 90 degrees of bending by week 3, depending on the type of surgery that was undertaken. They may also want you to be non-weight-bearing if you also had meniscal repair done at the same time. Your surgeon should provide you with clear instructions that they want you to follow after surgery. It is important that you bring these instructions to your physiotherapist so that they may follow your doctor’s orders carefully. Your physiotherapist will lead you through your rehabilitation program as quickly as your doctor and your body allows. Every single person is different, and your physiotherapist should adjust the treatment depending on how you and your body are responding. The primary goals of treatment are to regain all of your normal movement. The window of opportunity to regain full movement closes quickly. Typically, your best opportunity to regain full movement happens in the first eight weeks after surgery. From week eight to week twelve, there is some additional movement recovery possible. Typically, by week twelve, it is very difficult to gain more movement as the scar tissue has settled in to the joint. Hopefully, your therapist has helped to guide you to full movement within this timeframe. Secondary and tertiary goals of treatment include recovery of balance (also called proprioception), recovery of strength and agility, and full return to sports. Agility allows you to change directions quickly, start, and stop suddenly. These skills are very important to regain if you are planning to return to sport. It is often recommended that you wait for six months after ACL surgery before returning to sport. Your doctor may also recommend the use of a custom knee brace to provide additional support to the ACL during sports performance for six to twelve months after surgery. Rehabilitation after ACL surgery typically lasts for four to six months. You should expect to see your physiotherapist three times per week in the first six weeks after surgery. After week six, if you are achieving all of your range of motion goals well, and you are independent with completing your exercises, your rehabilitation may be tapered to 1-2 x per week. Further appointments are completely based on personal goals, and progress towards those goals. PhysioNow provides pre-surgical physiotherapy appointments and all postsurgical physiotherapy treatment for ACL reconstruction surgery. Your post-operative brace and your custom knee brace can all be ordered through PhysioNow either at the Applewood office or the Erin Mills office. If you are interested in meeting with one of our skilled physiotherapists, please call our office at 905-277-1782. If you are planning to have ACL repair surgery, please book an appointment with our office at least one month before your surgery to ensure that your physiotherapist can provide you with all of the information that you need prior to surgery. That also allows for time to order your postoperative brace for the day of surgery. If you wish to measure your custom ACL brace prior to surgery, this can also be arranged. Recovery after ACL Reconstruction Surgery can take several months to complete. The range can be anywhere from 9 to 12 months for complete recovery. There are a lot of factors that may play a role in a patient’s recovery including, but not limited to: age, fitness level, pre-existing injuries and what type of job/activity the patient wants to return to. For example, someone returning to a high impact sport will definitely require up to 12 months of treatment to make sure that they are capable of perfoming all the necessary demands of their game. Will I need physical therapy after my ACL reconstruction? Yes! The surgery itself will repair the torn ACL structure. However, after the surgery, there will be a loss of range of motion, strength, balance and agility. Physiotherapy is absolutely necessary to ensure that all these limitations are improved to a level where the patient can return to their activities without fear of re-injury. What limitations will I experience after my ACL reconstruction repair? There may be several limitations after an ACL reconstruction surgery, including but not limited to: increased pain, increased swelling, reduced range of motion, reduced weight bearing ability, loss of strength of the lower limb, loss of stability, poor balance and reduced agility. How well will ACL reconstrucive surgery work? The success of the reconstruction will depend on many factors, including consistency and motivation with physiotherapy treatment and how active the patient is on a regular basis. The more high impact activty that that the patient does on a regular basis, the more stress the repaired ACL will endure. A custom-made ACL brace will be an important component of management and protecting the ACL repair during high impact activities. 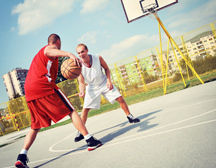 When can I return to sports after ACL reconstruction repair? Most patients can safely return to sport about 10-12 months post surgery. If the sport is very high impact and involves contact, the return to play timeframe will definitely be closer to 12 months. 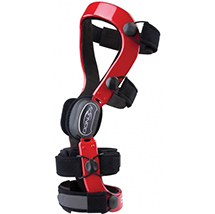 For high impact activity, it is recommended that a custom ACL brace is worn so that it helps protect the repair from increased stressors and reduces the risk of re-injury.